Hello fellow Mashbutton patrons. 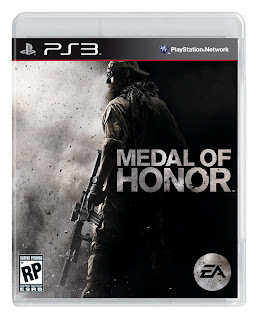 I have received breaking news from EA that a new Medal of Honor game has been in the works and will be released in 2010. For the first time since Medal of Honor made its debut 10 years ago, the game will leave the battlefield, Circa WWII, and take a giant leap forward to the present situations in a war-torn Afghanistan. EA LA has hand picked its team to create a sturdy, best in class, single player campaign. EA LA is also teaming up with EA DICE to create an up to date multi player experience. Its great to see that these two strong studios are teaming up to no doubt, bring us the ultimate in FPS experience. I for one am very interested in seeing what they are going to do with this new war theatre. Since these are going to be built around real events, it will really give the gamer a first hand experience of what these men are going through. As a former Marine myself and at one time had orders cut to go to Iraq, I am eager to see what true to life military aspects they will bring to the picture. Mashbuttons will keep you up to date on all breaking news concerning this new Medal of Honor game. May your thumbs me nimble and your gaming grand.